The revenues generated by 2017 road funding legislation (Act 40) have laid the groundwork for the state to adequately plan and begin work to #fixscroads. But just where is that new money going? 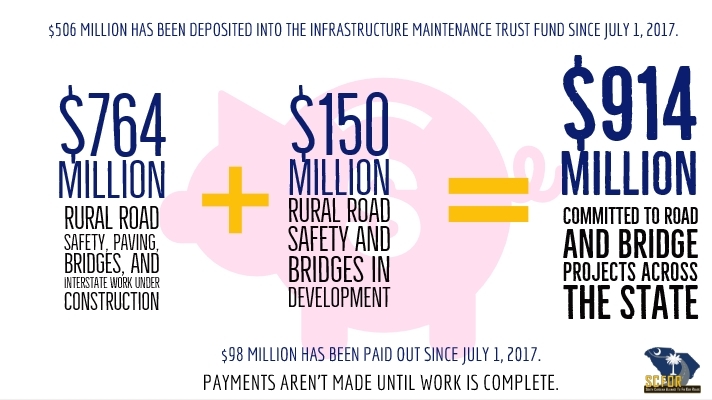 The NEW REVENUES generated from the fuel tax increase and other vehicle related fee increases included in Act 40 go directly into the Infrastructure Maintenance Trust Fund (IMTF) and must be used to FIX EXISTING ROADS AND BRIDGES. 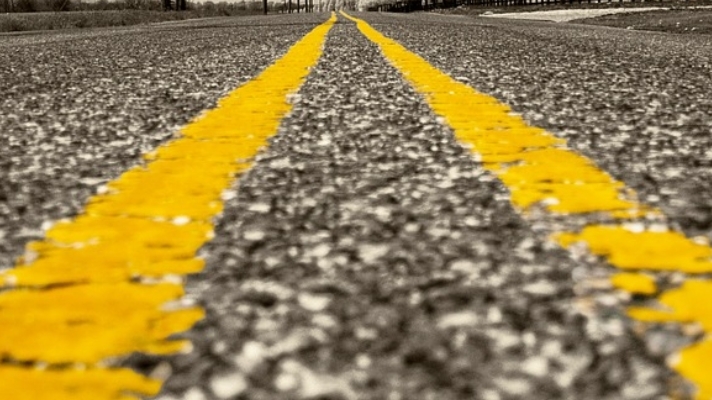 Currently, $914 million has been committed to road and bridge improvements across the state. Check out what $914 Million worth of work looks like – VIEW the Project List here. A full accounting of the IMTF (including balance sheets, details of who has been paid and for what) is available on the SCDOT’s website and this information is updated monthly. We encourage you to visit the webpage and follow the money!